Winter parka in a wind- and waterproof fabric with taped seams. 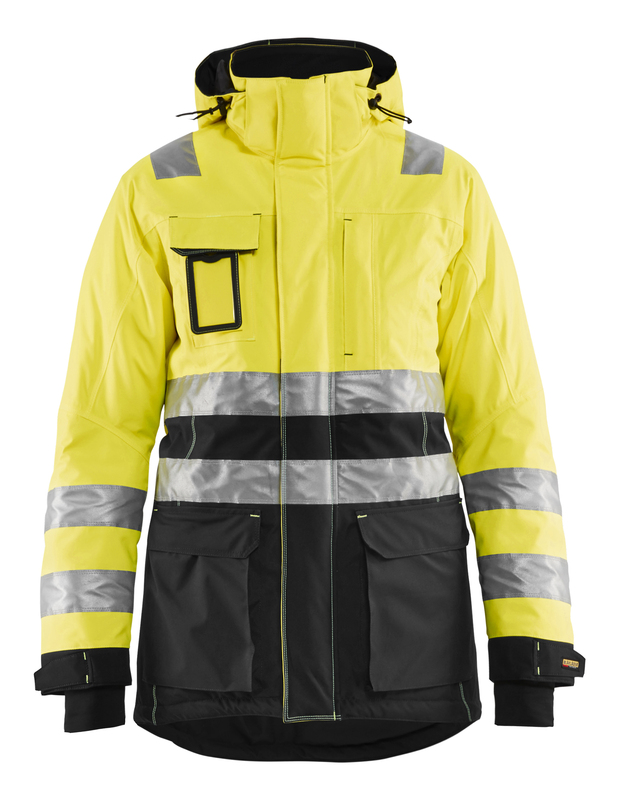 The jacket has a quilted lining and durable shell fabric with dark zones where it is most exposed to dirt. Adjustable waist with drawstring on the back. 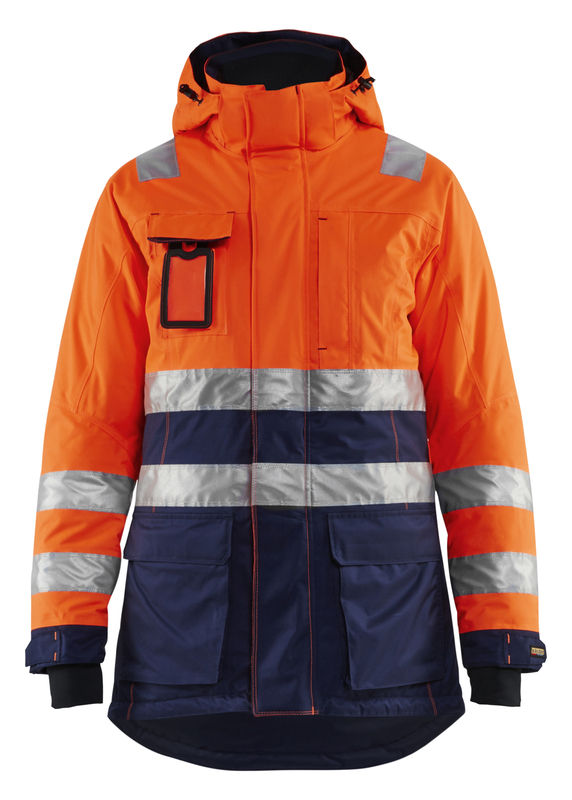 For greater ease of movement, the jacket has a two-way zipper and pre-bent sleeves. Certified according to EN 342 when combined with 7885, EN 343, Class 3,1, EN ISO 20471, Class 2, EN ISO 20471 Class 3 when combined with 7885. 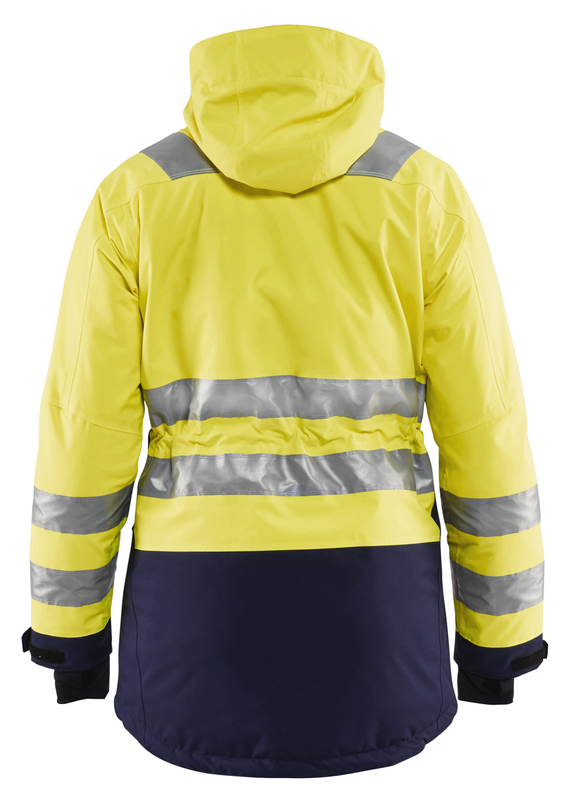 Wind- and waterproof fabric with breathable function and stretch effect. 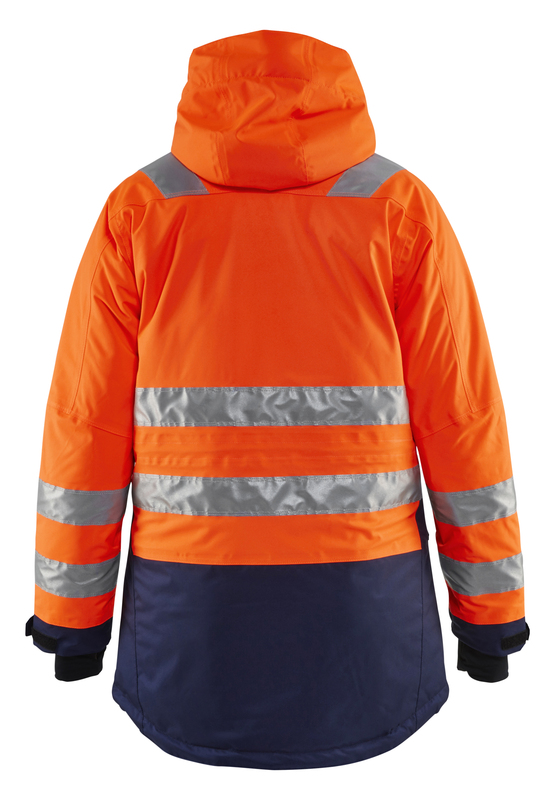 The garment is made of Oeko-Tex®100 and bluesign® certified material.